Jellyfish Reads: Notebook Sisters Tea Party Blog Tag! Notebook Sisters Tea Party Blog Tag! Happy blogoversary to the Notebook Sisters! Cait & Mime @ The Notebook Sisters are celebrating their 3-year blogoversary this week with a week-long party! It's Alice-in-Wonderland-themed and they're currently giving away Alice in Wonderland notebooks! It's all really exciting and you should all stop by and wish them a happy unbirthday and maybe take part in this tea party blog tag! Whooooo! ALL THE BOOK COVERS OMG. I just. Love book covers? Here are just four that I can think of at the moment. Breakfast Served Anytime by Sarah Combs because it's just such an atmospheric and evocative photo, so still and calm and beautiful. I wanna know if the book is just as quietly lovely. Lies We Tell Ourselves by Robin Talley because, well, that combined with the blurb makes me think it's gonna be such a powerful and important book! No One Needs to Know by Amanda Grace because GIRLS HOLDING HANDS BEHIND A BOY'S BACK yesssssss. 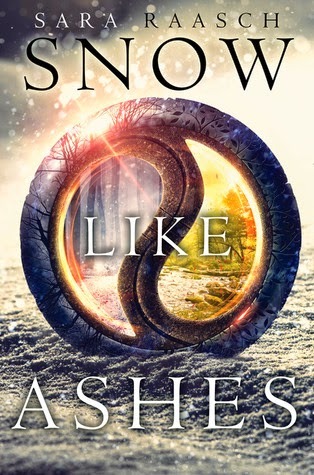 Snow Like Ashes by Sara Raasch because it's so pretty and look at those glimpses of two different worlds you get! WHAT DOES IT ALL MEAN. IS IT JUST SYMBOLISM OR IS THAT THING AN ACTUAL THING THAT EXISTS IN THE BOOK???? I NEED TO KNOW. 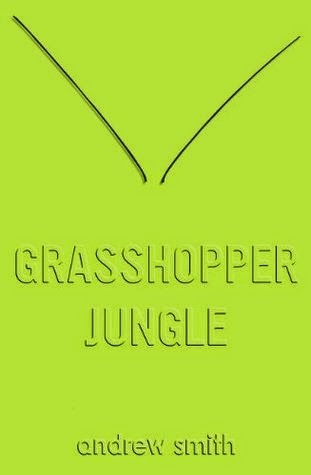 Austin in Grasshopper Jungle by Andrew Smith. The things that Austin thinks! All the stuff that goes on in his head, all the history and the stories and how everything crisscrosses and then suddenly he's thinking about his balls or other people's balls or something. I'm a really nice person and I don't really ever feel like beheading books! Honestly, I can't think of a single book I've read that I would like to behead. I tend to avoid all books that I know will make me rage-y by reading reviews, so that helps. 4. White Rabbit: What books or series have been insanely popular but you've been "late" to pick them up? Uh, I sort of only came back to reading YA a couple months ago and having not read any YA since like, 2011, you can imagine that I have a lot to catch up on. And even back then I wasn't a particular prolific reader and only read a few books every now and then. I haven't got round to most of these popular books/series yet! 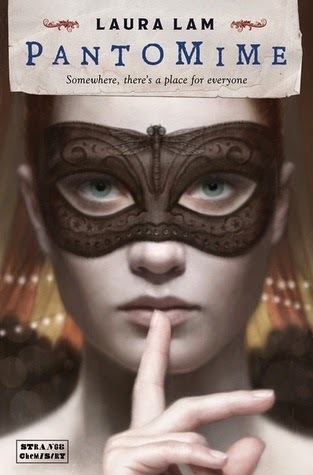 But I have got round to the first book of the Daughter of Smoke and Bone trilogy by Laini Taylor, at least. And it was SO GOOD. 5. Caterpillar: What's the most confusing book you've read? 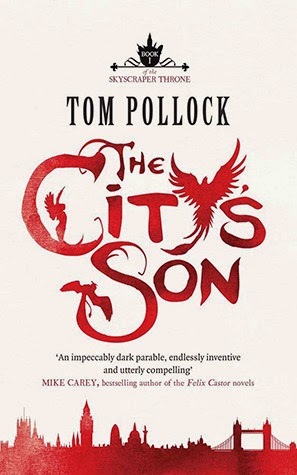 The Skyscraper Throne trilogy by Tom Pollock: great books, I love them so much, but for some reason I find them so confusing? It always takes me a while to work out what's happening. While I'm reading I'm just like WHAT ON EARTH IS HAPPENING WHAT'S GOING ON WHY IS-- AHHHHHHHH. But I really like that they're more subtle that way? Like, they don't make it GLARINGLY CLEAR THAT THIS IS EXACTLY WHAT'S HAPPENING because that can be kind of boring. I like that it takes a little time for me to wrap my head around it all. They're just really smart books and I love them. 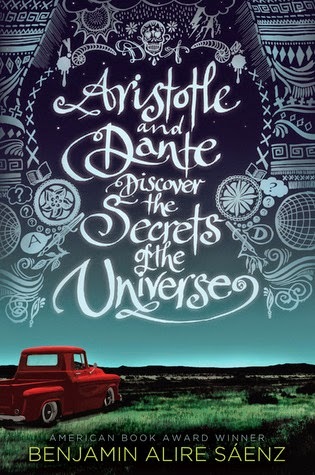 Aristotle and Dante Discover the Secrets of the Universe by Benjamin Alire Sáenz. Yes I gave it 3.5 stars, yes I loved a lot of things about it, but man that book made me feel like I was sleepwalking sometimes. 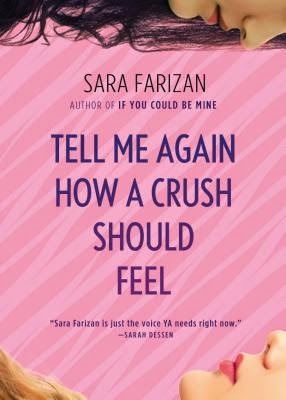 Tell Me Again How a Crush Should Feel by Sara Farizan! Everyone needs to read this when it comes out in October. I LOVED THIS. Seriously one of the cutest, most delightful books I have ever read. I laughed a lot. I could really relate to Leila and her voice was just so charming and sweetly humorous. Darling Parva "Pencil" Khan from the Skyscraper Throne trilogy by Tom Pollock! PEN!!!!! 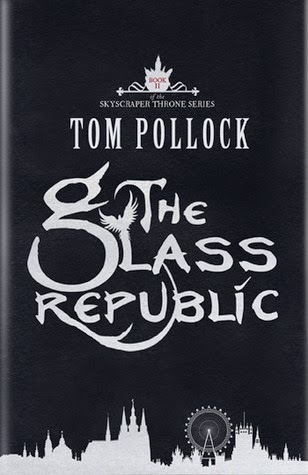 If you read my review for The Glass Republic, you'll know I practically just spent the whole time wailing about Pen. She's a Pakistani girl, and she falls in love with another girl in this book, and it's so wonderful! She goes through a lot in the first book, and she's just so incredibly strong. 9. 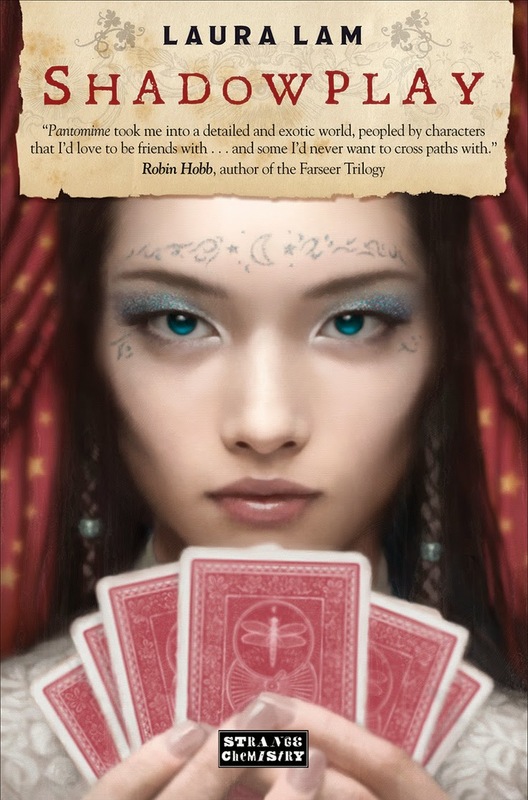 Jabberwocky: Best villain you've read this year? Villains don't tend to interest me for the most part for some strange, unknown reason. Or maybe I just haven't found the right villain for me yet. GUYS HOOK ME UP WITH SOME GREAT VILLAINS??? Tell me all your favourite villains! 10. Down the Rabbit Hole: What's the latest book/series/author that's completely swallowed your interest? Could it be anything other than the Micah Grey series by Laura Lam? MICAH GREY. Intersex genderfluid bisexual protagonist of my heart!!! I just love the whole world that Lam has created. It's so beautiful and imaginative and I could roll in it forever. And you don't like villians?? Hmmmm, I can't say that I LOVE villains but I do love me some good antiheroes ;) I did "enjoy" reading about the villains in Steelheart, though. 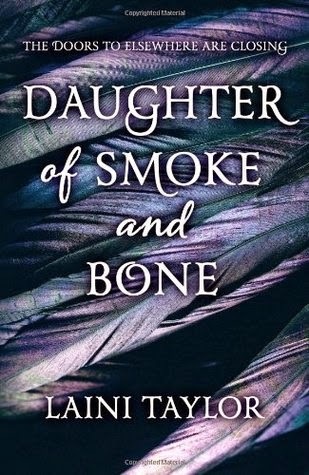 I've been meaning to read Daughter of Smoke and Bone too! I just can't seem to get around to it. I even had it in my hands, but I ended up taking it back to the library. Interesting post! Those books your choose for the first question have me interested. I might have to check them out! Oops, so sorry the "crazy" question mad you uncomfortable! :| That was definitely not my intention. *whispers* I haven't read Daughter of Smoke and Bone yet either! Everyone raves about it and I'm sooo late to that party! 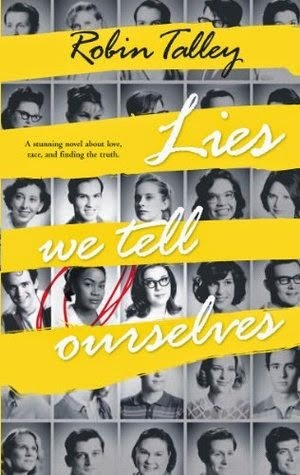 lol I love the cover for Lies We Tell Ourself. That entire book just calls to me...eeeh! I want to read it! It's okay! I just don't really like words like crazy and insane thrown around too casually and try to avoid using them myself. It's okay, I just read Daughter of Smoke and Bone like, two weeks ago! And I still haven't read the rest of the trilogy yet. GO READ IT IT'S SO GOOD. I really hope you like it. And god, I can't wait till Lies We Tell Ourselves comes out! IS IT SEPTEMBER YET. Oh no! What do you think's putting you off about that book? 3 out of 4 of the books I chose for the first question aren't out yet. I am so excited for their releases! Nooo, don't get intimidated! There's nothing intimidating about that lovely book! I enjoyed reading it so much, it's actually quite a lot of fun and really relaxing, in a way, because the language is so beautiful, it's just a gorgeous book to curl up in bed with. Thanks! (: I'll be sure to stop by at your post when I can find the time to breathe! What with Armchair BEA and everything else going on in my life this week it's been a bit difficult to find the time to do anything at all. Yeah, I know! I AM SO EXCITED ABOUT LIES WE TELL OURSELVES. Why isn't it out already??? I just... villains don't seem to catch my interest at all. I don't know why. Oooh Steelheart! I really need to read that. I tried the first chapter and it was a tad boring though??? Ahhh I don't know, I think I'm probably just the type of enjoy Brandon Sanderson's high fantasy more. 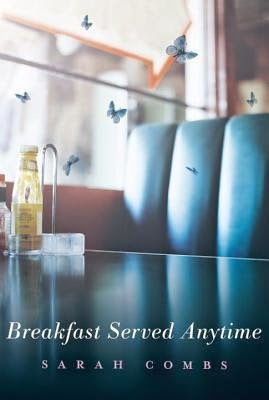 I almost had Breakfast Served Anytime on my list too, the cover is very intriguing. No One Needs to Know also looks pretty interesting. I haven't read Vicious by Victoria Shwab, no! I must go check it out. It looks very interesting. (: Thanks for the rec! I'm gonna just have to give in and buy Breakfast Served Anytime soon. I read the Kindle sample and it had me hooked!